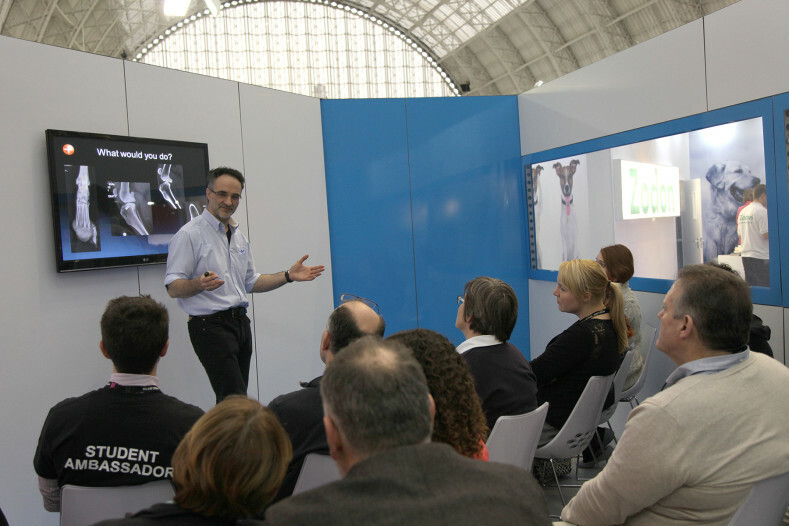 Fitzpatrick Referrals is once again heading for The London Vet Show​ next week on the Thursday 19th and Friday 20th November 2015. Our clinicians are dedicated to the sharing of knowledge and information, and some our top orthopaedic, neurology and oncology specialists will be giving lectures in the Fitzpatrick Learning Academy Lecture Programme. Returning for 2015, we will also be running our popular FitzBite mini talks on our stand both days all day, with six of our top clinicians offering their insight and experience in Q&A sessions. New for this year we also have two talks dedicated to the discussion of recruitment opportunities for the Intern and Veterinary Nurse at Fitzpatrick Referrals, a must for anyone interested in working in referral practice and learning more about working for us. On top of all this: the opportunity to win exclusive prizes if you take part in our questionnaire! We look forward to seeing you there! Come and meet the team and learn more about the work of Fitzpatrick Referrals Orthopaedics and Neurology and Fitzpatrick Referrals Oncology and Soft Tissue.